Very informative and talks through the entire process, couldn't have asked for a better experience exceeded all my expectations,highly recommend! Very informative and talks through the entire process, couldn't have asked for a better experience exceeded all my expectations, highly recommend! Dr. Masson was very professional. Very polite and informative. He made me feel very much at ease. First appointment was great.Got the information I needed. Looking forward to getting the treatment I need. Dr. Masson was very professional. Very polite and informative. He made me feel very much at ease. First appointment was great. Got the information I needed. Looking forward to gettingthe treatment I need. Doctor Masson grew up in the small town of Pullman, Washington and went to undergraduate and medical school at the University of Washington in Seattle. He trained to be a urologist at the University of California, San Diego. After residency, Dr. Masson then did a fellowship at Virginia Mason medical center in Seattle, Washington for one year. He is Board Certified by the American Board of urology and a fellow of the American College of surgeons. 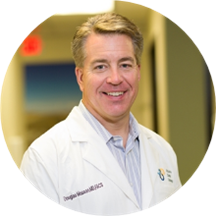 He has been a urologist in practice for 19 years in Vancouver Washington, and recently relocated to the Phoenix area. Dr. Masson has received top 10 Doctor ratings in the greater Portland Oregon area and in Washington state, and has received numerous patients choice awards and compassionate doctor recognition for many years running. He has a small town style of practicing by listening and getting to know you, and is looking forward to meeting you and taking care of your urologic needs. Dr. Masson enjoys the great outdoors and loves all that the desert southwest has to offer. Unable to make a diagnosis. Need more testing and a return visit. A truly caring, intelligent and personable physician. I'm so glad to have found Dr. Masson. It was a great experience. Staff were helpful and Dr Masson is the consummate professional with a caring demeanor. I had printed and filled out all of my new patient forms at home so check in was quick. The office staff was efficient and friendly. Dr. Masson was thorough in explaining what was going on with my condition. He answeredall of my questions. He explained my options and described the treatment. I didn't feel rushed through my visit. He has a great beside manner. It was very easy talking to him. The time between entering the exam room and actually seeing the doctor was a bit long but overall it was a satisfactory first visit. Dr. Masson and all of the staff were very friendly and professional. The worst thing was the wait for my appointment, however, I had several forms to fill out which I wasn't anticipating. I thought I had filled everything out onZocDoc which wasn't the case. If I had known, I would have gone earlier which may have affected the wait time. Overall great. Very knowledgeable and able to answer my questions. I was irritated that my appointment was at 8am, yet the office wasn’t open until just after 8. With me being the first patient, I shouldn’t have needed to wait as long as I did. First time meeting Dr. Masson -- he was open to a bit of friendly chit-chat, but then asked me why I was there. I try hard to keep the histories short in these situations, and he listened carefully, did not interruptme, and was very professional. He had a great demeanor, spent enough but not too little or too much time with me, and was super gentle. He’s extremely professional and kind. Dr. Masson was part of a team of doctor's that helped to save my life for which I will be forever grateful. Thank you Dr. Masson!!! My experience with Dr. Masson and his staff was outstanding! I need to recognize Shunshine and Katrina for being professional and respectful and just wonderful people to be around. I think it's very possible working with Dr. Masson has allowedthem to shine bright! I was not aware of his outstanding reputation until I was completely finished with my procedure. I can't believe how lucky I was that he was my doctor! If I say anymore the doctors going to get a big head and we really want him to stay exactly like he is. He made me feel comfortable in a uncomfortable situation I was thankful for that. Listen to you. Takes time to talk to you about your needs. Very friendly doesn't talk above you. We really appreciate him. He is a great dr. I trust him a lot. The best. Dr. Masson is a fantastic physician, and all around nice person. He was recommended to me by a friend, and I am ever so thankful for that. His entire office staff is incredibly efficient, something lacking in many offices today. Iwill recommend Dr. Masson and his every opportunity I get! If he treats everyone like he did me I don’t mind waiting. He has a great bed side manor. Good Personality and Professional. He takes his time and is patient with you. We appreciate that during this time; and all my husband has been through. Dr Masson was very professional. He took time to find out what was happening with me. He asked good questions and listened to me. He cared enough to get to want to help me. Dr. Masson was assigned to my mother after her previous doctor moved out of state. We both found Dr. Masson very thorough and very much up to speed from the previous doctors notes. He is very pleasant, and was very patient especially with my 84 year old mother. Doctor Masson was a breath of fresh air! He took the time to listen to me he made me feel comfortable and explained every procedure In a way I understood. His nurse Sunshine was a Gem. The front office staff was also very nice! Thank you so much! Trusting and satisfied as usual. Gave me the info and medication that I needed. Dr Masson was very professional and patient in listening to my concerns. He took his time to go over past history and medications. After my exam, he was very explicit in helping me understand what is going on and how andwhy necessary medication was being prescribed I left the appt feeling confident that my issues were addressed Thoroughly and my health will improve in the coming weeks. I have followed Dr. Masson from his other office and love his bedside manner he is very caring and professional. He takes time to listen to your health concerns and gives you medication only as needed. Dr. Masson is a excellentsurgeon and is very caring and professional in the hospital and his medical office practice. Loved him from day one! Dr. Masson has an amazing beside manner. He always takes time to listen to your questions and answer them completely, never making you feel like you are taking up his time. Genuinely cares about his patientswell-being. I would highly recommend Dr. Masson without any hesitation!! My initial meeting with Dr. Masson was outstanding. He was extremely personable, professional, thorough, and efficient. Actually, the entire office staff was this way, too. I feel very comfortable that my medical needs are being met by Dr. Masson and his staff. Best and friendly service I received ever. Excellent surgery and great results. Thank you. I was a new patient and needed to fill in lots of paperwork, so the wait was quite ok. He listened to me carefully. His examination was gentle and I am glad I now have a new Urologist. I am very happy with the results of my surgery and would like to thank Dr. Masson for his expertise, professionalism, and mannerisms. I would recommend him to anyone having Radical Cystectomy Surgery. Everyone compliments on how well my stoma looks. Great doctor and highly professional!..... I would highly recommend Dr. Masson to anybody. It was a long wait but he was great. They were extremely busy today. Dr. Masson takes his time and answers all questions thoroughly. We never felt like he needed to rush off and see the next patient. Through, clear and respectful. Dr. Masson is a kind and considerate medical professional, bothe my wife and I feel that he is on board with my healthcare needs, and will only do as he deems necessary to achieve a good outcome. With something as traumaticas bph and ongoing catheterization, it's comforting to have Dr. Masson to guide us. Thank you for such an excellent visit.